Limited finance available for Sponsoring, inquire to see if you qualify! We want to increase the use of commercial solar systems for businesses in Australia. Therefore SSS have secured funding to sponsor eligible commercial solar systems. This frees your business from any burdens with regards to financing the solar system. Additionally you don’t have to worry about system quality, performance or maintenance. By qualifying for our commercial Solar Sponsoring program your company may be eligible to receive a solar system without any upfront costs. You will receive the energy it produces from SSS at a rate below what you currently pay to your retailer for the entire duration of the sponsoring term. 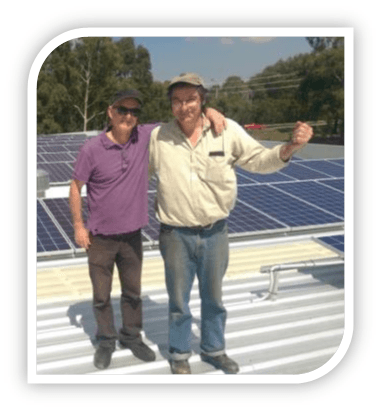 Participate in the uptake of commercial solar in Australia and put your roof to work! Solar did not need investment or impact on your cash flow and credit rating with its investment and O&M expenditures. 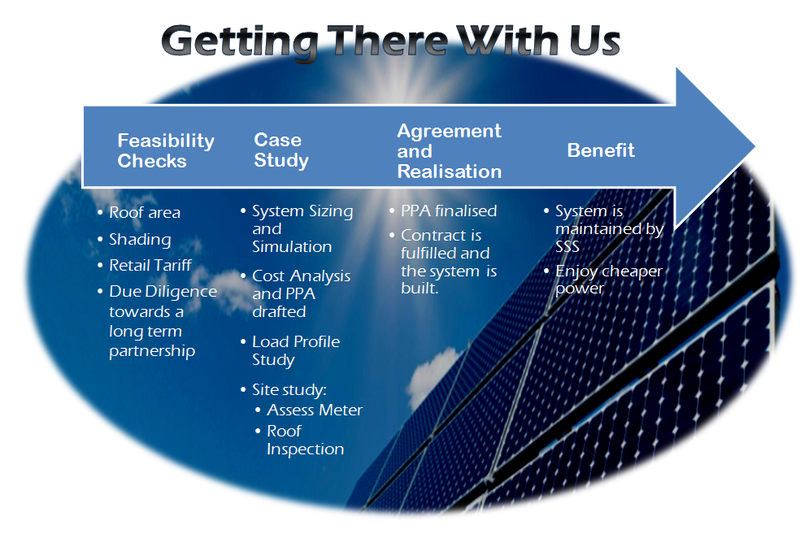 You did not have to spend time in evaluating tenders and managing solar technicalities. You would not run the risk of getting a bad quality system with potential fatal flaws and low performance. You had one competent and reliable contact person for any issue. You started saving instantly in a transparent and comprehensive way. The very attractive commercial Solar Sponsoring concept removes these barriers and fits perfectly into business operations. It provides instant savings in cost due to the cheaper electricity tariff under a Solar Power Purchase Agreement (Solar PPA or Solar Energy PPA). It never generates any negative cash flow. You only pay for what you consume and don’t have to invest anything into the solar system. Additionally, your company gains benefits in reputation with employees, collaborators and clients. Also, your contribution to reducing greenhouse gas emissions improves the company’s sustainability. All this can be attained without running any of the financial or technical risks normally related to the installation of commercial solar panels. If we sponsor your system, we finance the cost of your system while you pay us a reduced electricity tariff for the energy it generates. Due to this, it is in our best interest that the system performs optimally at all times. Therefore, we will use high quality bankable components, only the best installers, as well as our on-site quality control staff. We also maintain and monitor the system during our partnership ensuring quick response to any deviations from normal operation at all times. The electricity tariff you get through our sponsoring program will not increase to the degree retail electricity tariffs have in the last years. This allows for even higher savings in future years as illustrated below. This is based on a 5% increase of electricity retail prices, which is less than the average of 5.6% over the last 4 years in Victoria. So what’s the catch with getting sponsored? You tell us! We would be happy to discuss potential obstacles you may see with utilising Solar Sponsoring for your business. If these issues are addressed and your company qualifies for the program we can immediately get started. You have to be a commercial solar customer. Your monthly electricity consumption has to be more than 2,000 kWh. Your is business is well established and running profitably. You have to own the business premises or have a lease in place where the property owner would agree to have solar panels installed. Your roof has to be sufficient in size and condition, correctly oriented and not be subject to excessive shading. Your company has to be agreeable to the use of the roof for solar generation and be committed to a long-term partnership with us under a commercial Solar Energy PPA. If you think your company may be eligible, just give us a call or a quick email. Your company will appreciate your initiative towards reducing costs and a greener footprint with Solar Sponsoring.